The Chefn Microgreen Grower Kit is an easy way to grow sprouts on the windowsill. These radish greens are ready in just about a week. The first seeds I planted were radishes and they went nuts. They germinate in only few days and are harvested by just cutting them with some scissors. They are good in salads, on sandwiches and in many other recipes. The grower fits perfectly on a windowsill and has kept me busy doing what I love. After the first harvest, a standard planting mix can be used for the next plantings. 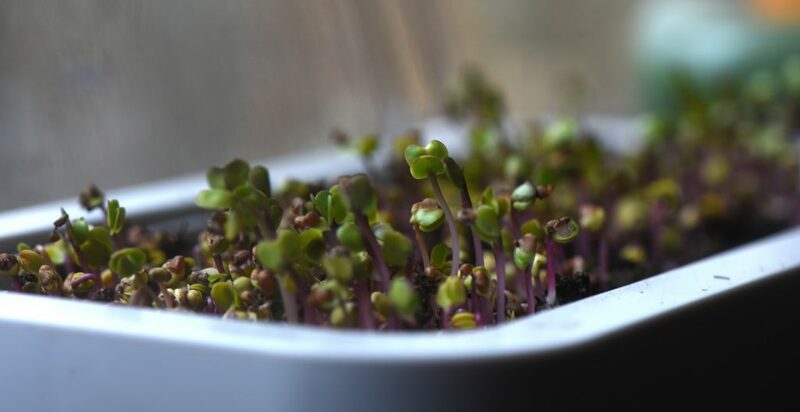 Microgreens are highly nutritious and surprisingly tasty. The radish greens were a hit at a recent dinner added to a cracker covered in cream cheese and a thin slice of salmon. Besides radishes, try basil, sunflower seeds, mixed greens, alfalfa, arugula, lettuce, other greens, carrots, cole crops like kale, beets, cilantro, turnips and many others. I’m replanting every couple weeks because the sprouts are so good. It’s also a great way to use up some old seeds. The key to keeping houseplants happy is to keep them on the dry side. Just stick a finger three inches down in the soil, and if it’s dry, give the plant some water. These plants don’t just produce oxygen, they also help clean the air. For them to best do that job, be sure the leaves are clean. Just wiping them down with a wet paper towel will keep them happy. Amaryllis ‘Double King’ puts on quite a show. Amaryllis bulbs are a popular gift for the holidays. They have everything they need to bloom and can be kept as houseplants to enjoy the flowers annually for many years. 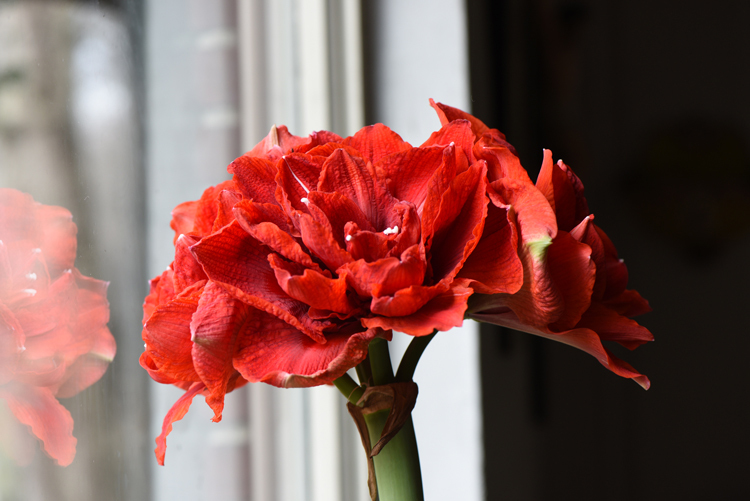 Amaryllis bulbs can still be found and there’s nothing like the beautiful blooms that arrive several weeks after the bulbs are put into a pot. They are carefree, providing huge, pretty flowers when they are needed most. They can be found at nurseries and garden centers. 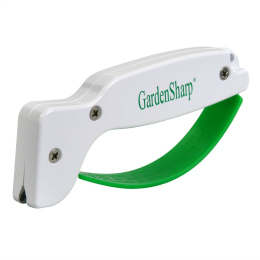 The AccuSharp tool will get shovels, hoes, trowels and more sharp for the season. Couple in love with each other and heirloom tomatoes. Great list of seed sources from Everybody Gardens readers. This plant is blooming in the winter!